The Ringbrothers showed-off its customized 1971 K5 Chevy Blazer build during the 2018 SEMA show in Las Vegas. 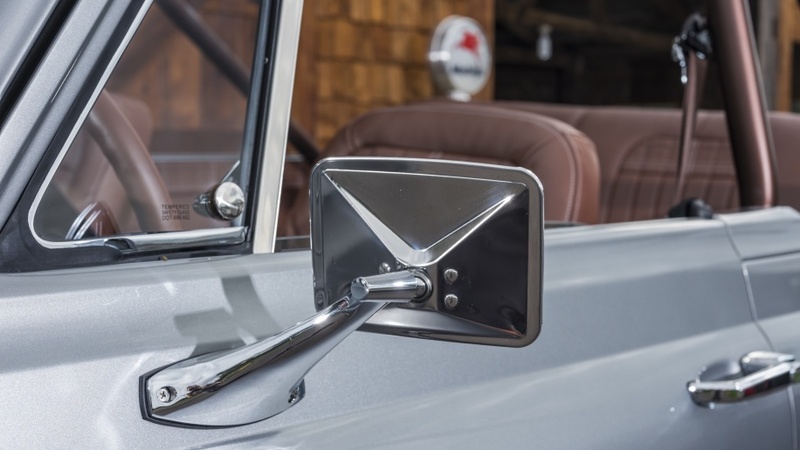 While the build has some modern touches, the builders let the brute ruggedness of the classic SUV shine. The Ringbrothers pulled the covers off the build it’s dubbed “Seaker” at the Las Vegas Convention Center, and live on its Facebook page. 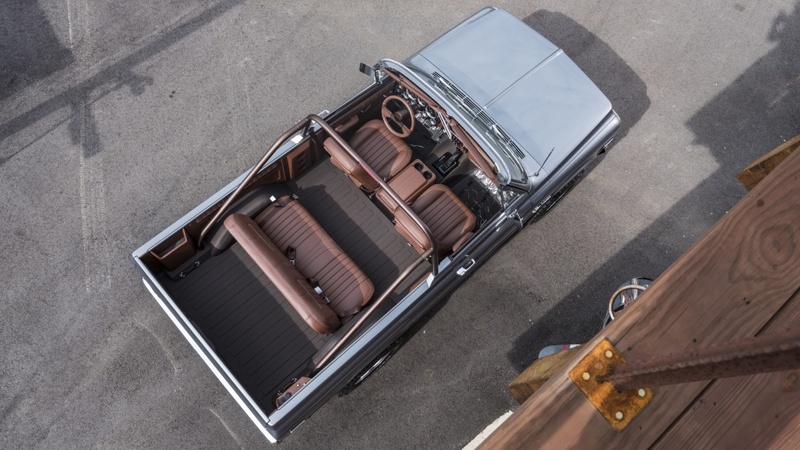 This classic truck-based SUV isn’t wildly overdone and reminds us that the super popular platform has humble roots. While many early Blazer examples are jacked up to the clouds, this example has a very humble 1-inch body lift. Another unexpected detail is that it actually maintains its stock front and rear suspension, with the exception of Ride Tech supplied sway bars and shocks. It rides on a set of 17-inch Circle Racing Wheels that do a good job of adding to the classic looks of the K5, instead of distracting from it. All-terrain T/A tires by BFGoodrich are wrapped around the subtle custom wheels. Most of the bodywork refines the lines and overall look for the Blazer, while the only major additions are the bikini top and roll bar. The door hinges, door handles, and window cranks are straight out of the Ringbrothers parts catalog. The modernized paint job is gained from a Mercedes-Benz color, Brazilian Smoke—the color sounds a lot more exotic than it is, and just ends up looking like a crisp silver on the Blazer’s body panels. An LS3 crate engine provides power to the Seaker and is backed by a four-speed automatic transmission that sends 430 horsepower to all four wheels. A Holley fuel system and Flowmaster exhaust are nice performance upgrades for the setup. 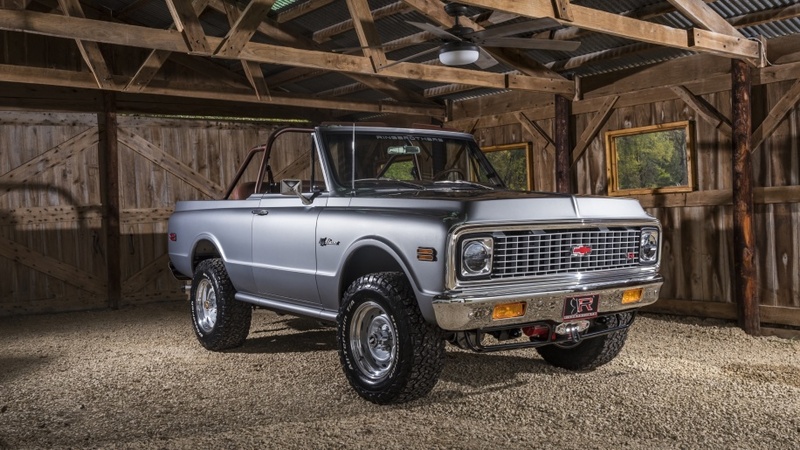 This ’71 Chevy K5 Blazer makes us wish General Motors would take some styling tips from the Ringbrothers for the Blazer’s modern relaunch.